For obvious reasons, I'm a huge admirer of Tom Oreb's. 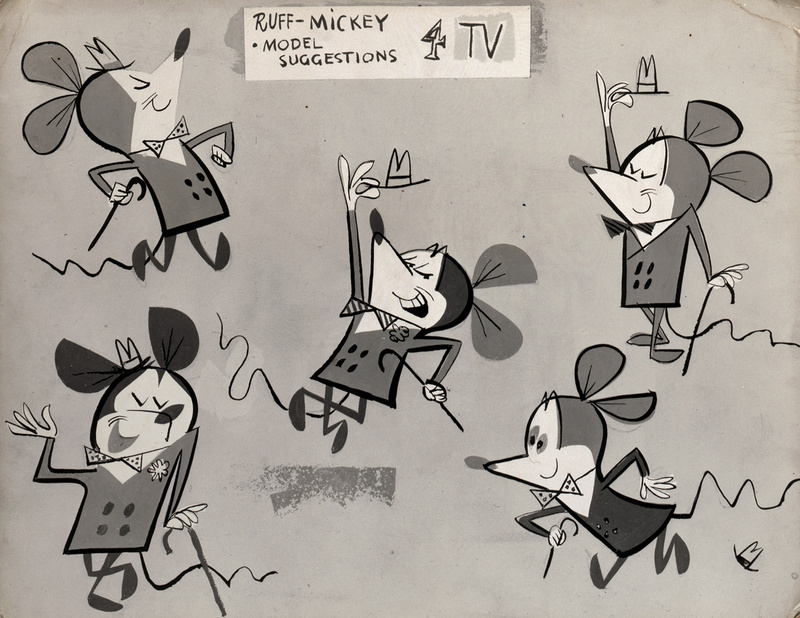 This model sheet was for a set of 1955 Nash car commercials. My favorite ad of the bunch shows Mickey and Minnie (and kids, apparently) going for a spin in Nash's "daring, dazzling 1955 Rambler". The car is advertised as a "whole new idea in styling", which is ironically what Tom Oreb was known for. Oreb had a way of reinterpreting Disney characters that felt like a natural extension of their personalities. His designs were simplistic, but a far cry from dull. This is a rough concept of the figurine, based off the bottom left pose on the model sheet. With his designs being so heavily dependent on the use of lines, it was tricky to find a 3D solution that looked halfway decent. Next up: making the 3D model. I'll post updates on my progress!